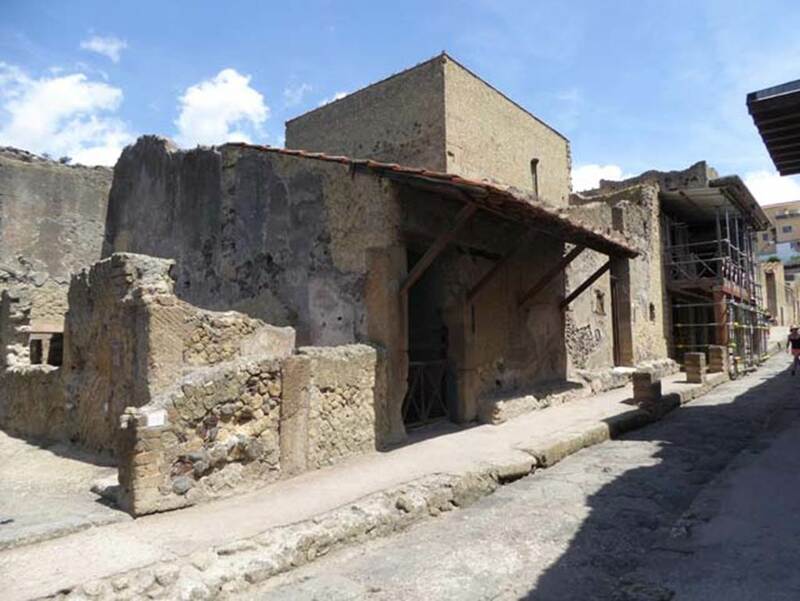 Herculaneum III.17. Casa dell’ Ara Laterizia or House of the Brick Altar. Looking west along the long and narrow entrance corridor, with a large room on its north side, one arrives at the small atrium in which there was no trace of an impluvium. 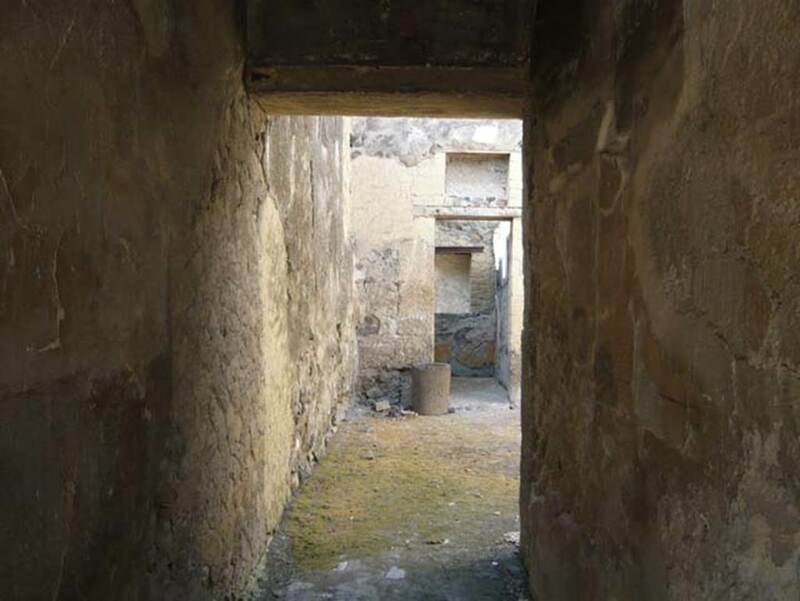 On the west side of the atrium were two small rooms, probably bedrooms, which were separated by a corridor leading to the courtyard and other rooms. 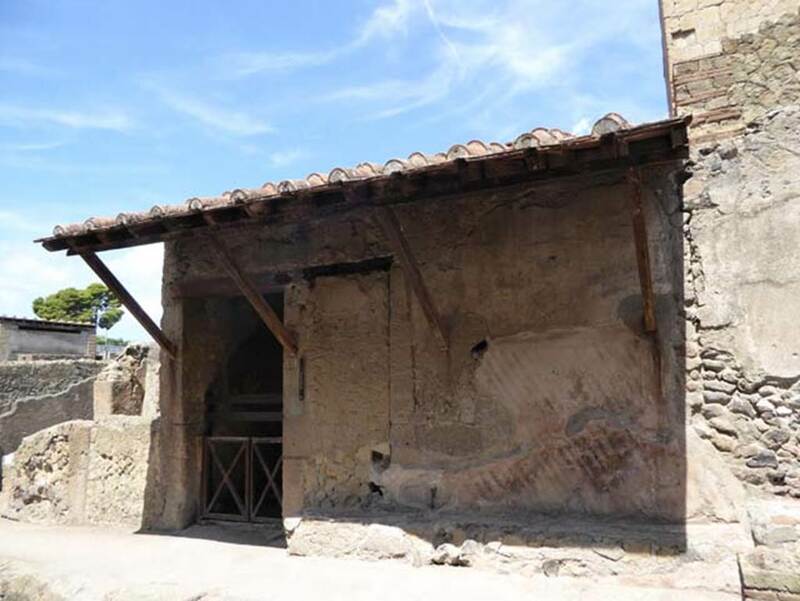 Opening onto the courtyard were a bedroom, the triclinium, a stair-room with latrine below them, and at the back on a lower level but in an area possibly covered by a roof, was the large masonry domestic lararium, which has given the modern name to this house. Above the altar, on the wall, was a panel of stucco with a cornice in relief, but no trace of any picture remains. According to Wallace-Hadrill, this house had a non-impluviate atrium, a backyard and 6 rooms. It was ruinous but there was still traces of decoration in one room. III 17, Herculaneum, September 2015. Entrance doorway, on west side of Cardo IV Inferiore. III.17, Herculaneum, July 2015. Looking west to entrance doorway. Photo courtesy of Michael Binns. 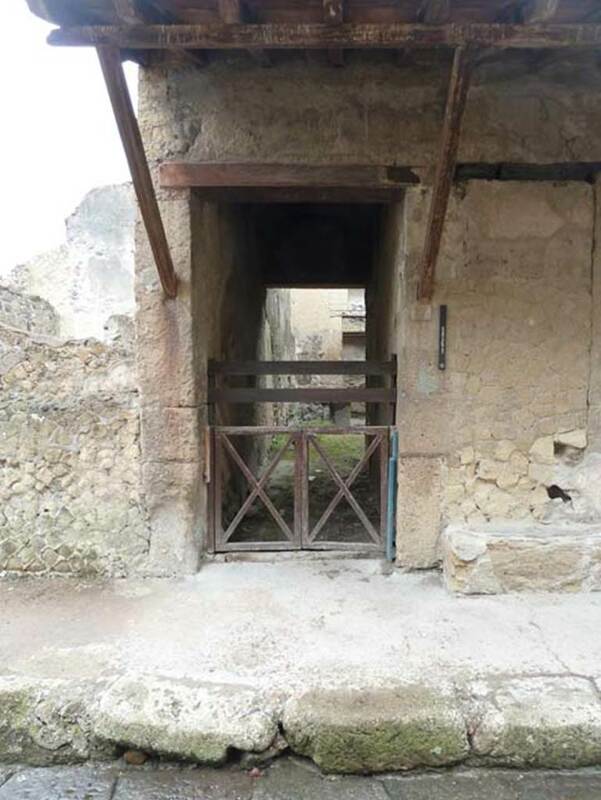 III 17, Herculaneum, October 2014. Looking west to entrance doorway with bench outside. III 17, Herculaneum, September 2015. Looking west along entrance corridor. 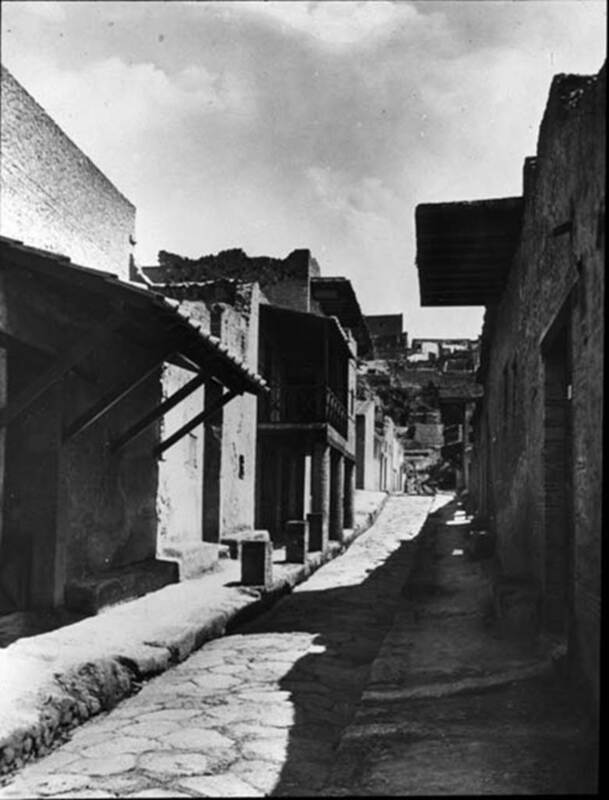 According to Jashemski, the little courtyard at the rear of this small narrow house, excavated 1927-9, may have had a few potted plants. The impressive brick altar built against the rear wall, according to Maiuri, was probably in an area roofed to form a Sacellum. 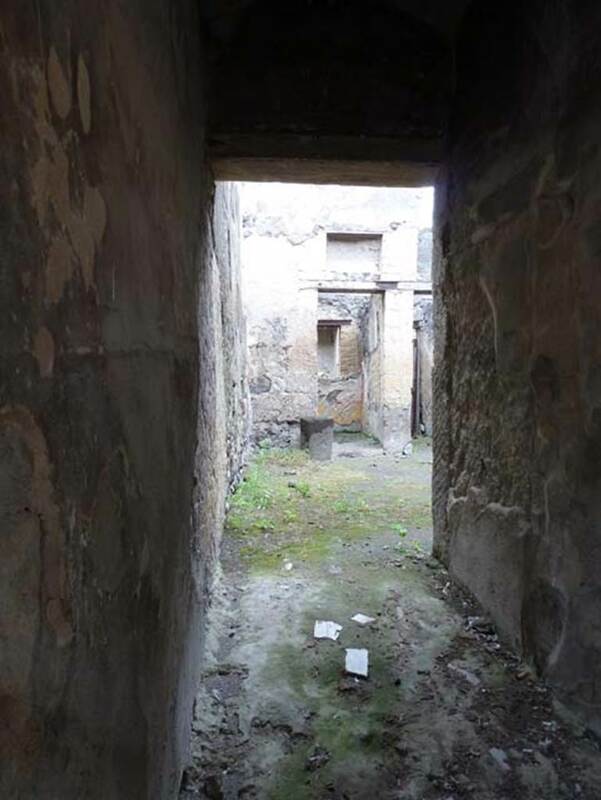 III 17, Herculaneum, October 2014. Looking west along entrance corridor. Photo courtesy of Michael Binns. III.17 Herculaneum, August 2013. Upper part of walls and vaulted ceiling in entrance corridor. III.17 Herculaneum, August 2013. Looking west along entrance corridor towards small atrium. 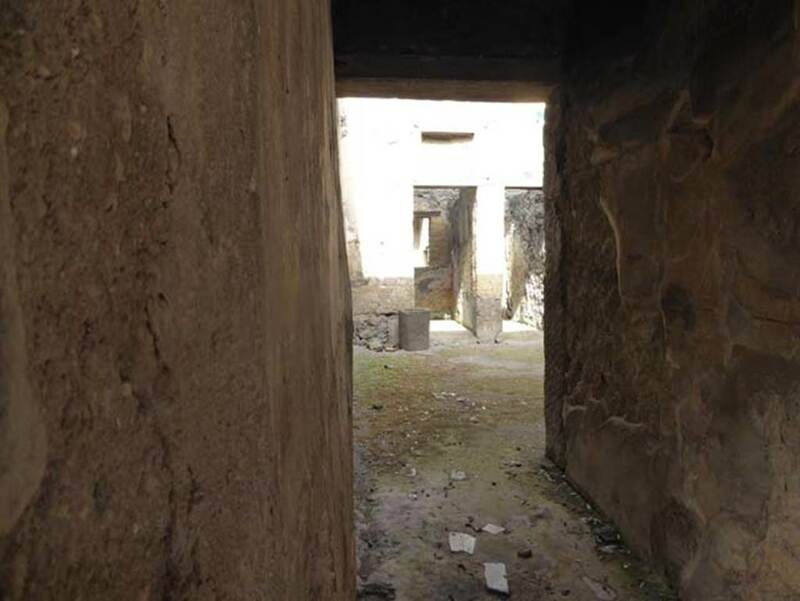 III 17, Herculaneum, September 2015. North wall of entrance corridor. 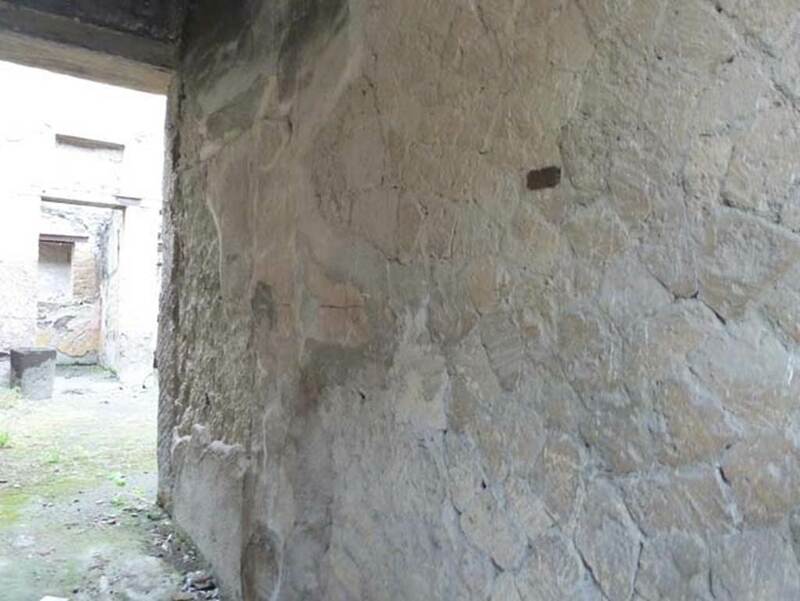 III 17, Herculaneum, September 2015. South wall of entrance corridor. 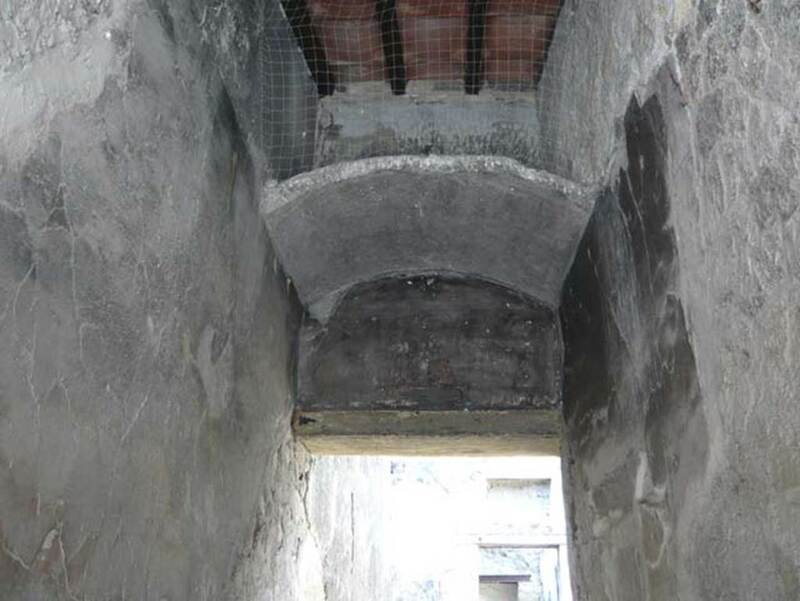 III 17, Herculaneum, September 2015. 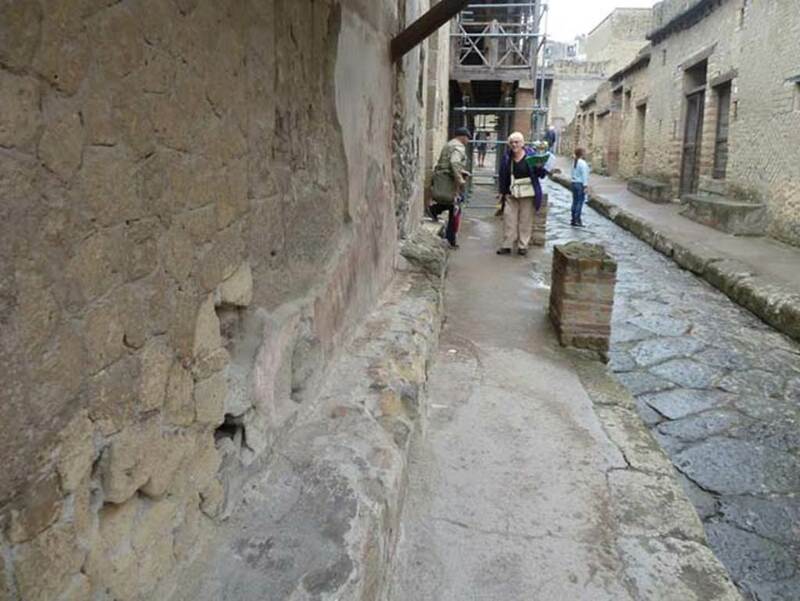 Cardo IV Inferiore, looking north along bench/seat on north side of entrance doorway. 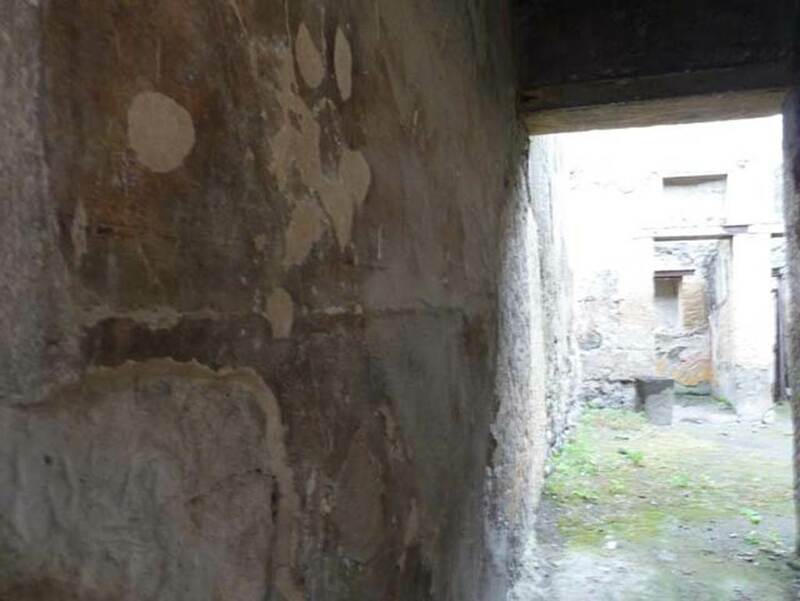 III.17, in centre, Herculaneum, July 2015. Looking north along west side of Cardo IV Inferiore. Cardo IV Inferiore, Herculaneum. 1935. Photo by Fratelli Alinari (I.D.E.A.). Alinari No 43137 (1935) oN. Looking north from III.17, Casa dell’Ara Laterizia or House of the Brick Altar, on left, and IV.2, Casa dell’ Atrio a mosaico or House of the Mosaic Atrium, on right. 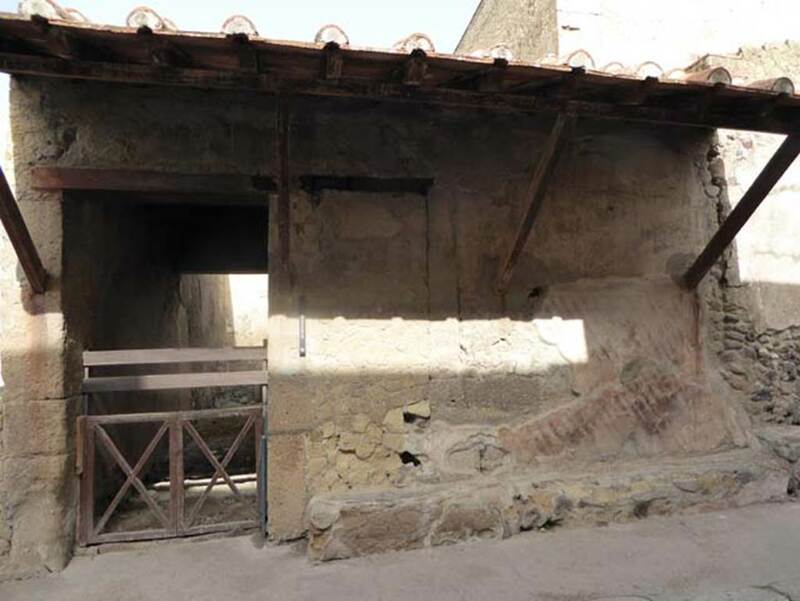 The colonnade in the centre of the photo is outside III.14, Casa a Graticcio or House of the Wattle Work (Opus Craticium). Used with the permission of the Institute of Archaeology, University of Oxford. File name instarchbx116im013 Resource ID 42232. III.17, Herculaneum, September 2016. Carbonised bread, found in this location, now in deposits. 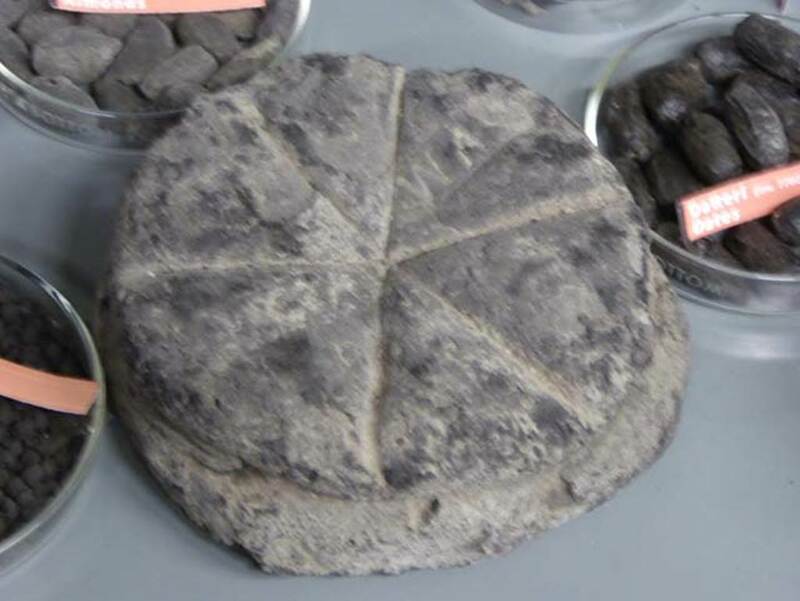 According to Monteix, apart from dividing the upper area into six portions, the shape of the cut implies the use of a cord to model the dough during its rise. An unreadable seal has been applied to the upper surface. See Monteix, N. 2010. Les lieux de métier. Boutiques et ateliers d’Herculanum. Ecole française de Rome, (p.153).